Most characters allow users to change their names. Just select a character in the editor, and fill in a new name in the Custom name field. 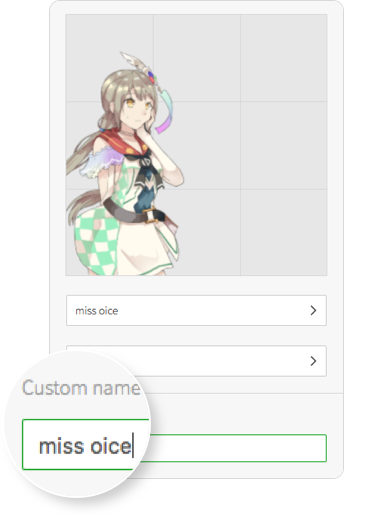 Why do some characters do not have the Custom name field? Creator of a character asset can set whether it can be renamed by other users. In some cases when the characters are associated with a brand, the asset creator may tend to retain the original character name so that other fan-fiction stories will not stray too far away from what the asset maker wanted.